NY Metro Chapter and Content Committee Train Future Focus Group "Master Moderators"
It started with an observation by chapter lead Roben Allong (Lightbeam Communications) that there wasn’t a lot of local, low-cost, hands-on training for focus group moderation. And from there, a day-long training was born. 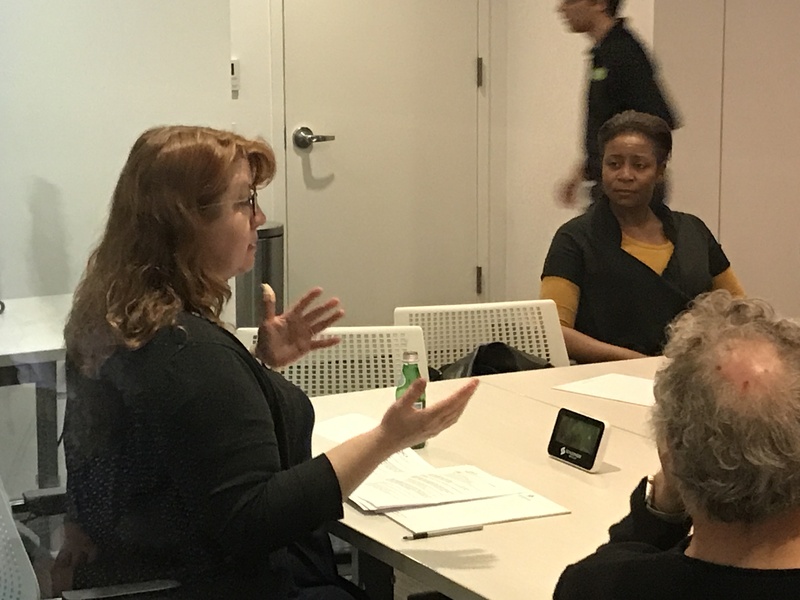 On Friday, April 27, the NY Metro Chapter and the Content Committee held Modern Masters Sessions: Focus Group Moderation 201. Split into two sessions, one for those with less than three years’ experience and another for those with four to five years’ experience, twelve researchers each moderated a 30-minute focus group with up to six participants. Following each session, group feedback was provided and questions answered by the organizers and member "master moderators." The following week, trainees received evaluations from "master moderators" who viewed their session, plus the opportunity to chat with a "master moderator" for additional 1:1 feedback. 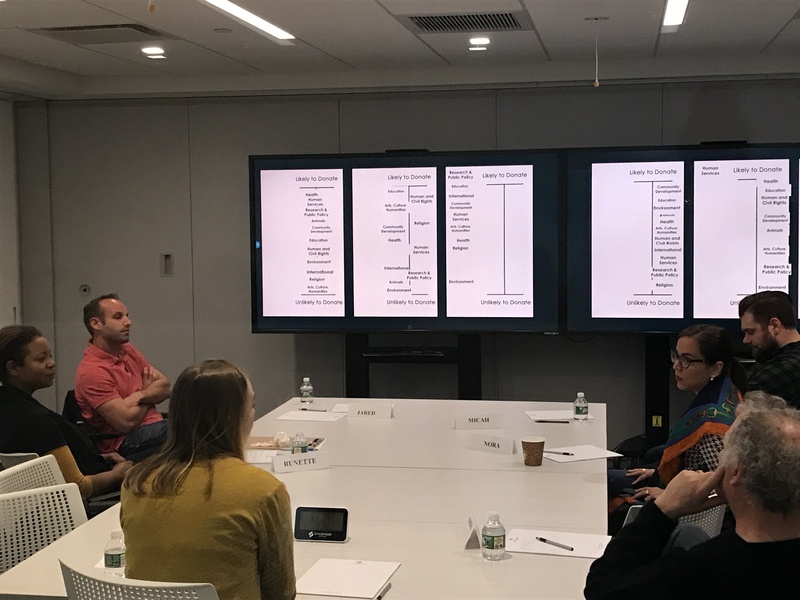 For their participation, trainees received points toward the new QRCA Advance Program and training on Schlesinger Group’s The Wall, an interactive platform for the display of study stimuli, the use of which was built into the discussion guide. What made this training unique? The discussion guide was written for a real client, Little Essentials (a Brooklyn, New York, non-profit) that sought help developing messaging to drive awareness and donations. A full client experience was created, with staff from Little Essentials sitting in the back room, tweaking the guide and concepts as the day went on, exposing trainees to a common group occurrence. Perhaps most importantly, the training was held informally in a safe, judgment-free setting among peers — both those who were learning like them and active practitioners fully invested in helping participants build their skills. Many thanks to our volunteer “master moderators”: Paul Bruening (Intelligent Future), Marc Engel (engel research partners), Susan Fader (Fader & Associates), Katrina Noelle (KNow Research), Tom Rich (Thomas M. Rich & Associates), Andrea and Manny Schraeger (Consumer Centers) and Laurie Tema-Lyn (Practical Imagination Enterprises)! Thanks too to Steve Schlesinger and his team at the Schlesinger Group for being a gracious partner and host! Learnings from running this session will be shared soon with other chapters. In the interim, if you’d like to hear more, contact any of the organizers: Roben Allong, Jessica Broome, Shannon Danzy, or Janina Weigl. We’d be happy to chat! The Pacific Northwest Chapter of QRCA is thrilled to announce a workshop scheduled for May 18. This full-day event will give you the chance to brush up on your business development skills as well as your creativity. Your payment guarantees your spot. Given the popularity of these events and the fact that your registration includes lunch, if you register you must pay — whether you attend or not. A Fresh Look at Business Development: It’s Easier Than You Think! Our industry has changed drastically over the past few years, leaving us with greater competition, smaller budgets, and clients who often are choosing to go the DIY route. If you have not been consistent with business development in the past, your business may pay the price now or in the near future. Don’t love to sell? Don’t have the time? Neither do most QRCs, according to our deep dive into this topic with QRCs of all tenures. The morning sessions will be dedicated to reviewing the results from our speakers’ study and incorporate tricks of the trade from many of the best qualitative practitioners. Marta and Cheryl will highlight solutions that can be incorporated quickly into busy QRC business lives. Understanding that self-imposed constraints and business development are not “one size fits all” can lead to unique solutions that will get QRCs unstuck and on a new path to greater success. Marta Villanueva is President of NuThinking Inc. She is a bilingual/bicultural expert with nearly 20 years of experience in insights. Marta has a proven track record advising top 500 companies. She holds a Master’s degree from the International Center for Studies in Creativity. She is a creative thinker, grounded in marketing, who gets more from consumers by using customized thinking tools. 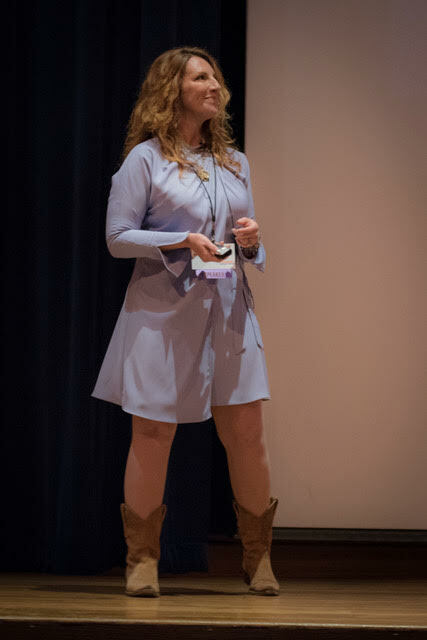 Marta has served QRCA in many roles, including co-chairing the Latino and the Creativity and Innovation Special Interest Groups, 2012 conference Speaker Team Leader, and chairing the Business Development SIG. She is the QRCA 2015 Maryanne Pflug Award Winner. 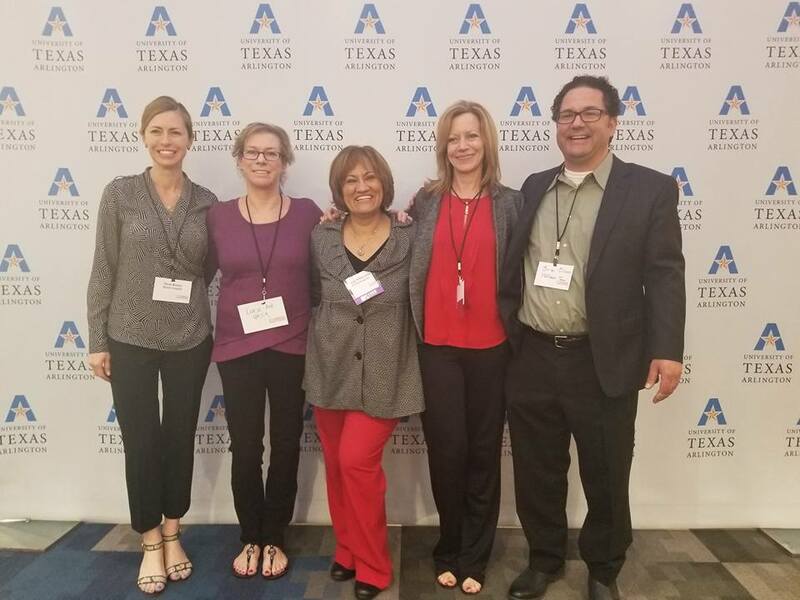 Members of the Texas and Friends Chapter met on April 12 in Arlington, TX, to cheer on our very own April Bell and Marta Villanueva in their presentations on qualitative topics at the annual qual-quant conference. The conference is hosted by the Master of Science in Marketing Research (MSMR) program at The University of Texas at Arlington, one of the few programs of its kind in the country. 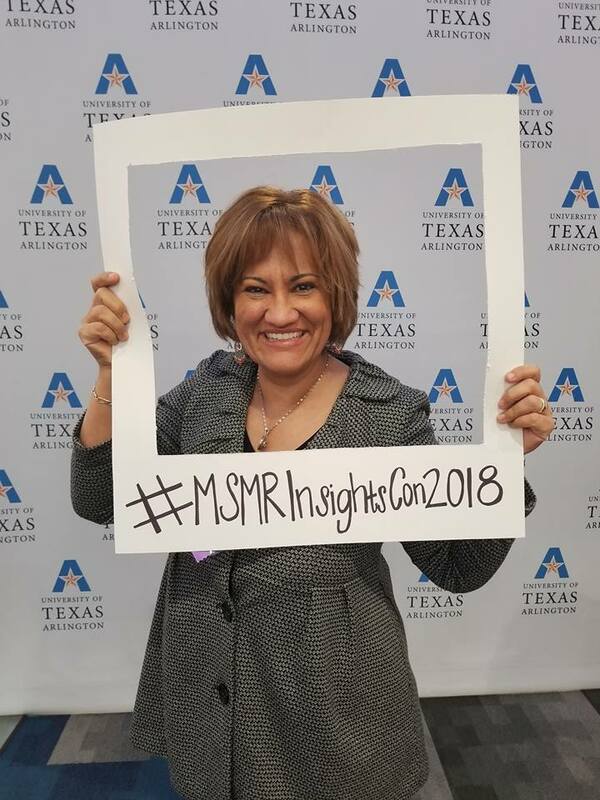 The conference provides an opportunity for MSMR students to interact with professionals in the Texas marketing research community and for all to benefit from the sharing of ideas and networking. QRCA members Kelly Heatly and Casey Bernard are graduates of the program. April followed the opening speaker with a presentation on her “Design Thinking + Montessori” approach to designing and executing innovation research projects. Marta presented in the afternoon on turning insights into innovation, sharing learnings from her study with top innovators. Cheers to April and Marta for a job well done in bringing qualitative excellence to this conference and sharing their wisdom and practical tips in such an energetic and engaging way. Most other presentations were quantitative and included such topics as the changing e-commerce landscape, customer segmentation by personality type, and even using conjoint + qual to design theme park rides. It was an enjoyable day of learning and connecting with friends. We will be back next year.